CARLISLE, Pa. — GIANT Food Stores has agreed to acquire five corporately-owned Stop ‘n Save stores from Supervalu Inc. 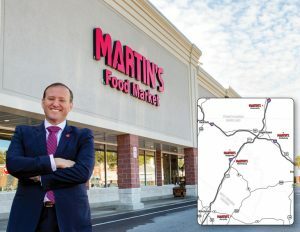 The stores will be converted to the Martin’s banner once the deal is compete. Supervalu, now a subsidiary of United Natural Foods Inc., has said it plans to exit the retail grocery business.